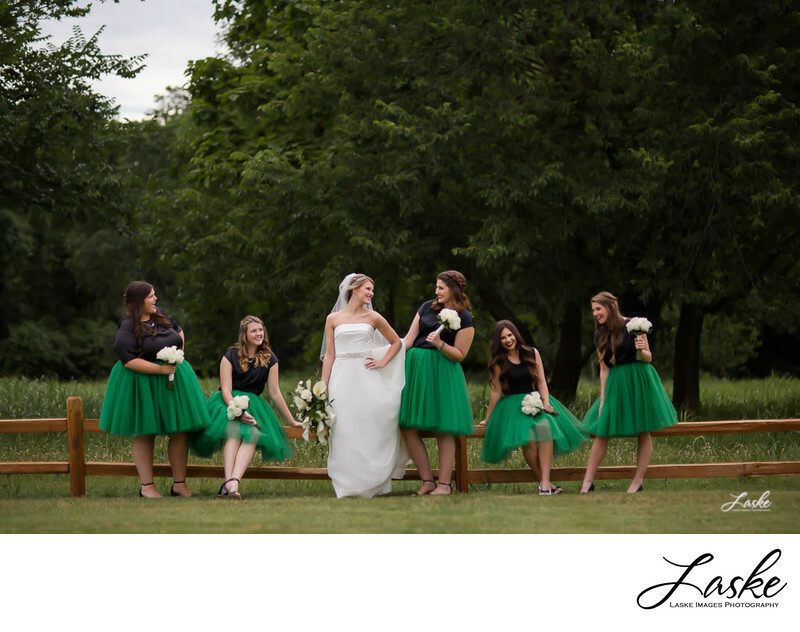 Bride looks at Maid of Honor as the smiling bridesmaids sit and stand along wooden fence. They are outside surrounded by trees. 1/6400; f/1.6; ISO 125; 85.0 mm.